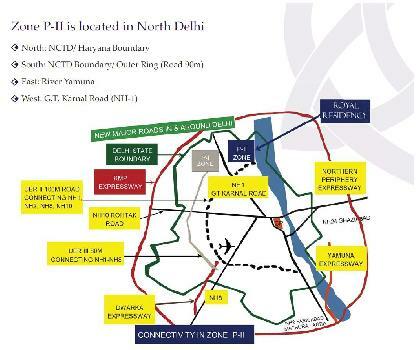 Royal Residency will be the first of its kind in Zone P-II, catering to Delhi's niche market for smaller homes.Comprising of well appointed one & two bedroom apartments, with the option of a servant's quarter in the 2BHK. It offers spacious and well structured accommodation. Royal Residency shall enable smaller families, couples, and individuals to own a home in Delhi - 36 and enjoy a lifestyle of privacy combined with convenience living. 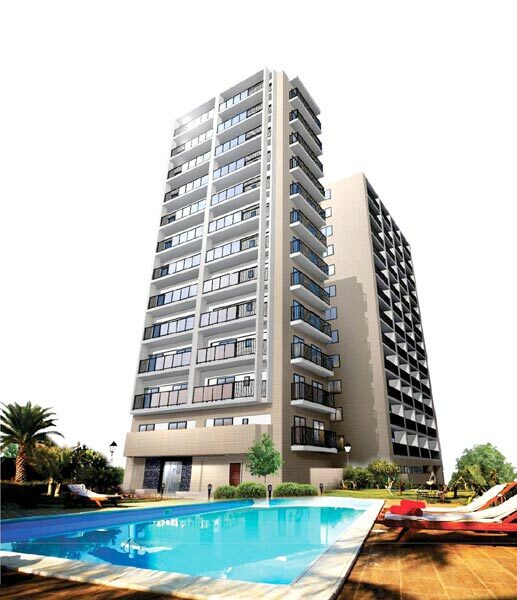 The apartments shall be finished to the highest standard with all modern kitchen and bathroom appliances. A carefully planned layout shall ensure optimum space utilization and natural light. The complex facilities will satisfy your every need with a gymnasium, swimming pool, party room, yoga area, amphitheatre and play zone. Not to mention the lush green surroundings and meandering pathways throughout the gardens. 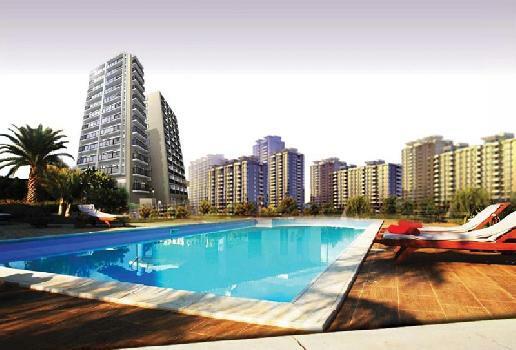 The design and planning caters to all income groups offering a selection of furnishing packages. 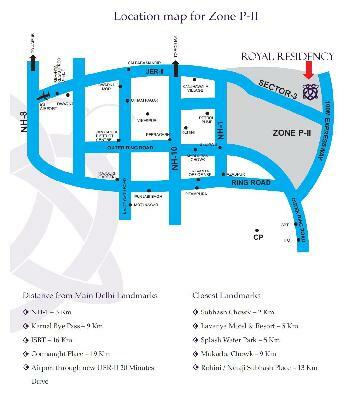 So whether you want a fully furnished ready to move apartment or a blank canvas to make your own, Royal Residency has made provision for all members. Living at Royal Residency, you shall benefit from the directives of the Master Plan of Delhi 2021, which has designated Zone P-II as a High Rise Residential Zone. 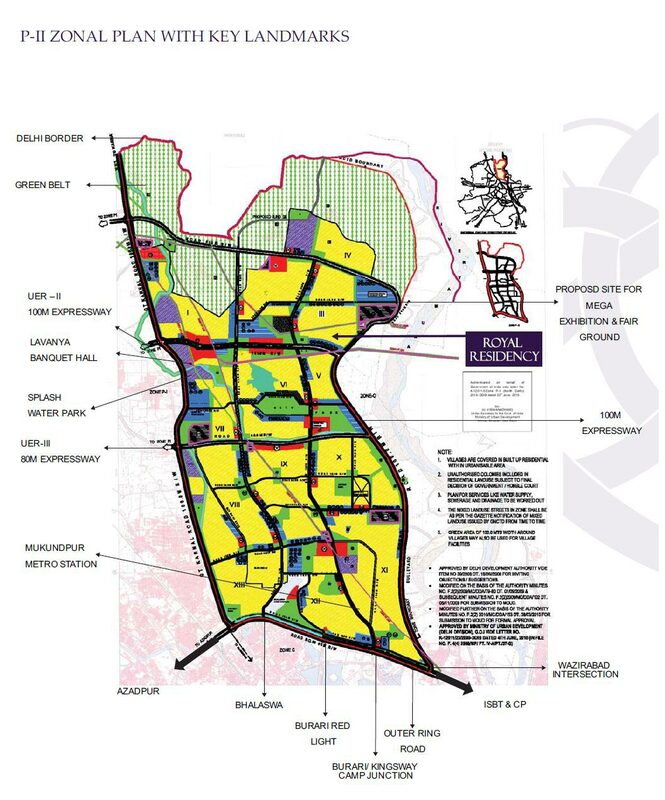 This emphasis on High Rise development will allow for better planning and use of recreational and green areas, to include a Leisure Valley, River Front Boulevard, 9 Hole Golf Course, City Parks, Bhalaswa Lake Complex, Mega Exhibition Centre, Amusement Park, Science Park, and a network of playgrounds and green spaces interconnected with pedestrian and cycle tracks.